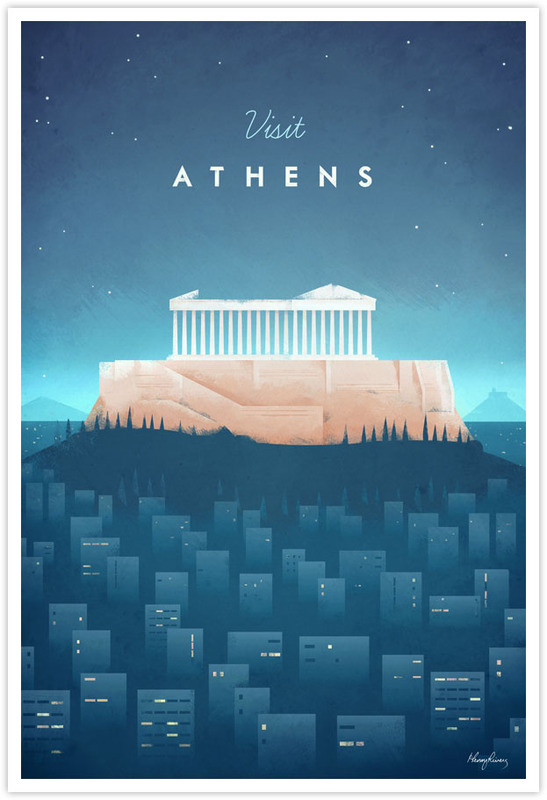 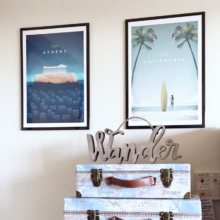 Athens Vintage Travel Poster | TRAVEL POSTER Co. 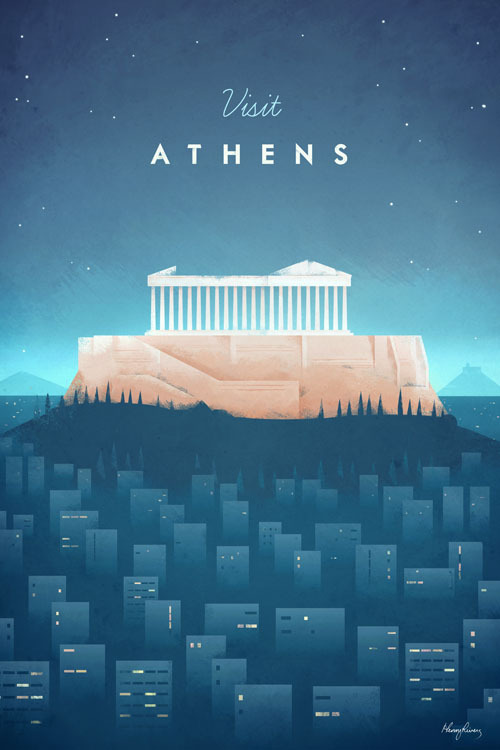 This vintage travel poster of Athens, Greece depicts the sprawling city on a clear night. 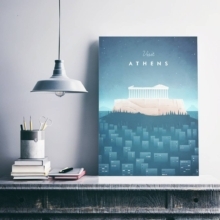 The ancient Acropolis rises from the metropolis of Athens, with the Parthenon temple lit up in a warm orange light. 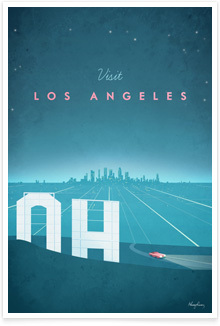 The text reads Visit Athens.